Founded in 1772 during the Spanish empire expansion with the establishment of the Mission San Luis Obispo de Tolosa, San Luis Obispo is one of the oldest communities in California. Nestled against the Santa Lucia Mountains in the beautiful California central coastal region, San Luis Obispo boasts an eclectic mix of attractions and activities that appeal to tourists and residents alike. With so much to offer, San Luis Obispo provides a way of life that has also brought the town the distinction of being named the “Happiest City in America” by researcher and author Dan Buettner. While the City takes great pride in their heritage, they also believe strongly in the importance of looking forward and preserving the environment for future generations. In July 2012, the San Luis Obispo City Council adopted their award-winning Climate Action Plan (CAP) with strategies to reduce community-wide greenhouse gas emissions in accordance with the California Global Warming Solutions Act (AB 32), new Title 24 Energy Efficient Standards and CALGreen Building Standards. 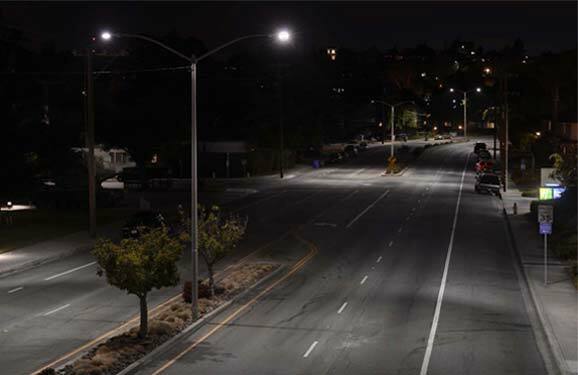 As part of the CAP, the City participated in local utility Pacific Gas and Electric Company's (PG&E) LED Streetlight Turnkey program to upgrade existing street lights with energy-efficient LED street lighting. According to Tom Lorish, Senior Customer Relationship Manager with PG&E, "This program provides the City with a one-stop-shop project while offering utility incentives for street lights that can make a significant impact on the installed cost of the project. The goal of the program is to implement energy-saving projects, with money saved from reduced energy consumption and operational maintenance costs going towards covering the project financing costs." The Turnkey project helped the City of San Luis Obispo obtain funding through a California Energy Commission loan and provided $150,000 in PG&E rebates. 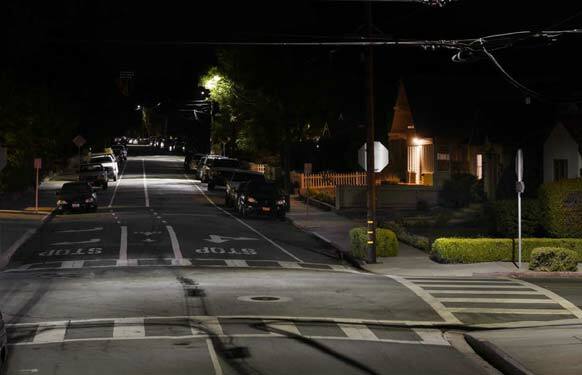 With funding in place, San Luis Obispo city engineers began looking for the solution best able to help meet their targets — a search that led them to Cree, an industry leader in LED lighting. As a result, San Luis Obispo upgraded almost the entire city with 2,165 Cree® XSP Series LED street lights. As Tom Lorish of PG&E states, "At the time we were putting the project together, the XSP Series was the new jump in performance, both from a technical perspective and a price performance perspective." Cree’s XSP Series delivers up to 100 lumens per watt and up to double the lumens per dollar of previous generations of LED street lights. Beyond these substantial savings in energy consumption and cost, the XSP Series offers better optical control with the NanoOptic® Precision Delivery Grid™ optic, delivering light where the town wants it, not where they don’t. When asked for additional reasons why San Luis Obispo chose Cree as their LED lighting solution, Lynch responded: “It’s about my maintenance staff. It’s what they like, what’s workable for them. What appears to be a quality fixture.” The XSP Series also features the same aesthetics as a traditional cobra head luminaire, making it easier to upgrade incumbent technologies. As to another benefit of the Cree solution, Lynch adds: “Ease of installation. It wasn’t too heavy. Some of the fixtures were really heavy, and if you’re up in a bucket and trying to wrestle the thing up there... we have to be watchful of that. Keeping the weight down so one man can lift the fixture without injuring his back is pretty important.” Cree proved to be the right choice as the City estimates that upgrading to LED will reduce electricity costs by 67 percent annually — with anticipated fewer replacements and truck runs, less fuel, and reduced overhead.